Although St. Andrew’s is relatively close to where I live, prior to this week I had never been to a game there. I’ve seen Wolves play Birmingham City many times at Molineux but never on the road. The higher you go in the English system, the harder it becomes to get tickets, but in the case of the Blues it was straightforward. I registered online and printed the ticket at home, so nothing complicated or involved. 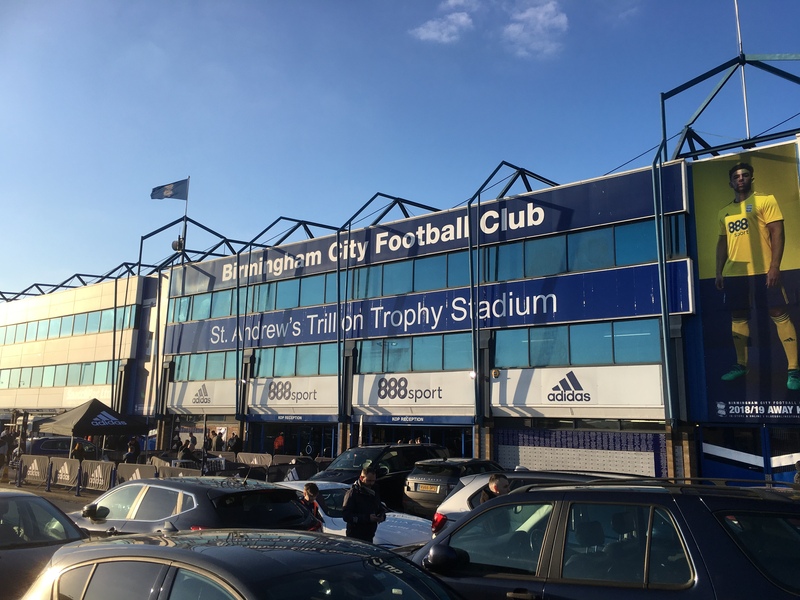 Plus, while tickets for an Aston Villa or West Bromwich Albion match would be like gold dust, a midweek against Sheffield United isn’t quite so intense in terms of demand. You can watch the video below with some shots from around the game itself. It was my 95th game and 44th new ground of the season.